The struggle is real – industry is under a crunch. The increasing number of post approval adverse event cases (8-10% animal health, 10-12% human health) year over year is being driven by new product launches, increased PV awareness and evolving PV regulations worldwide. 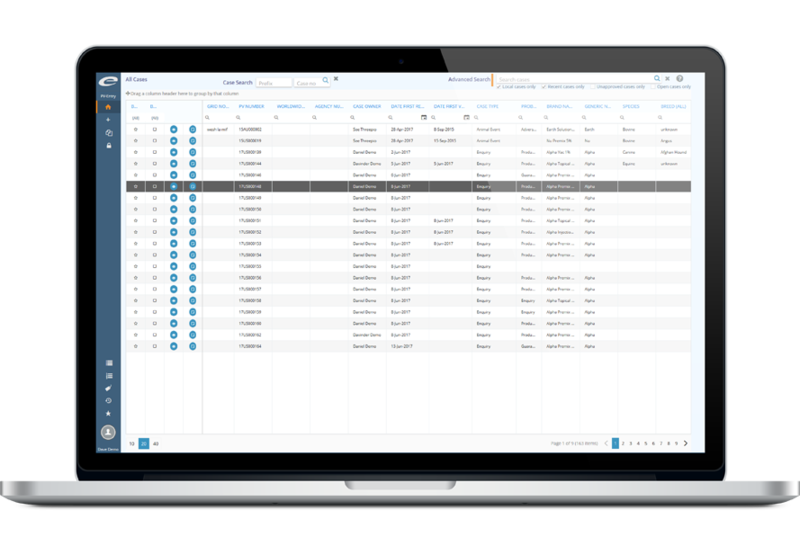 With tighter budgets and fewer resources, when it comes to adverse event case collection, companies need a solution that allows them to quickly and accurately input detailed patient safety data. … and built a user interface that is thoughtfully organized, surprisingly effective, well-designed and easy to use. Traditional Pharmacovigilance systems have been focused on the needs of the data reviewers and users responsible for trending and analysis. PV-Entry is a web-based application designed to revolutionize Pharmacovigilance case management. The user interface has been optimized to meet the specific needs of those users engaged in receiving reports, entering data, and handling case follow-ups. Many functions have been developed in response to actual customer feedback to promote efficiency and improve the end user experience. PV-Entry is designed to work alongside PV-Works to maximize efficiency for those users responsible for handling large volumes of cases in high pressure call center environments. It ensures accurate capture of regulatory important safety data by promoting efficiency and ease of use and leverages novel technology to enhance the user experience. PV-Entry is 100% web-based for lightweight rapid deployment. PV-Entry’s powerful and high performance home screen case grid supports querying, sorting, filtering, and grouping. Search engine style querying uses standard operators and allows users to locate existing cases for follow-up using any available data fragments. Flexible case screens support different layouts for different cases types or experience levels and data sections can be configured to mirror the typical call ‘flow’. As well, data fields can be modified with custom color coding, description text and company specific help text. All vocabulary lists feature efficient searching functionality. The product, dose and batch hierarchy is supported to meet the complex requirements of the standard PV data model. Novel selection matrices allow the rapid entry of multi-dimensional data values such as time to onset information and product assessment. Contact data entry is optimized to automatically recognize previous callers and allow auto-fill of demographic information. Clinical sign coding is optimized to support rapid selection of codes from previous case reporting history and allow batch update of sign qualifier data. A configurable palette of commonly used text and data combinations allow rapid entry of regularly used data values while speech to text functionality is leveraged to support narrative and free text dictation. Finally, flexible case bookmarking and social style case tagging supports efficient case management and team integration.